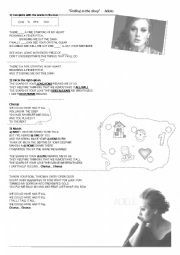 This is a very nice song that most pre-adolescents love. 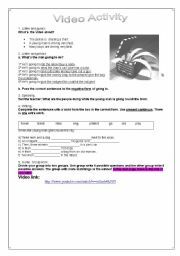 You can practise listening to new vocabulary, common expressions in lyrics, present continuous, present simple and gerunds.I hope your students like it! Regards! This is a writing activity. Ss. have to describe the studio. They can use prepositons of place, parts of the house, some, any,there is there areetc. I hope it´s useful! This is a catchy song that my students love! 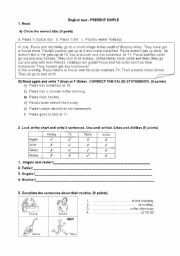 It has two listening activities in which ss have to match first and then complete the imperatives. Then they can dance and do what the song says! Enjoy it! 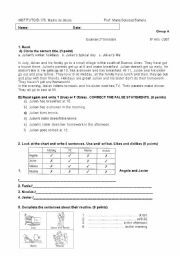 This is a test about present simple personal information, routine, likes and dislikes. 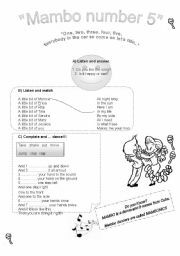 It evaluates reading comprehension, use of english and writing. I hope it´s useful! Regards! 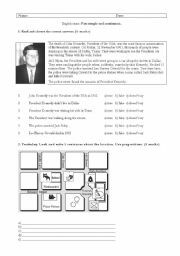 In this test you can evaluate your students´ progress in: past simple and past continuous, vocabulary of crime and order, public places and prepositions of place. I hope it´s useful. Regards! This is a test wich can be used as a term test. 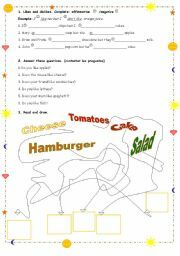 It´s got a reading activity, production activities and multiple choice activities. I hope it´s useful! 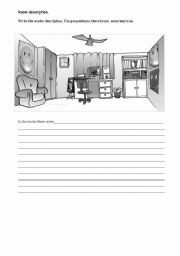 In this activity ss have to complete the sentences, then they have to give short answers to the questions and finally they have to read and illustrate the vocabulary. I hope it´s useful!